The UNIX vi commands listed on this page which handles navigation, cursor movement, searching, editing, inserting text, using auto-complete, cut copy and paste operations etc in vi are useful for taking advantage of the UNIX vi editor. vi (Visual Editor) is the default editor that comes with the UNIX operating system. 1.Command mode (commands which cause action to be taken on the file – Press the ‘i’ character to change to Insert mode). 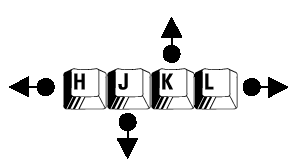 2.Insert mode (entered text is inserted into the file – Press the <Esc> (Escape) key to go to the command mode). When using vi, keep in mind that vi is case sensitive. Over time I have learned that the ‘Escape’ key is king in vi editor. To open a file in the vi editor to start editing, simply type in ‘vi <filename>’ in the command prompt. To quit vi, type one of the following commands in the command mode and press ‘Enter’. Force exit from vi even though changes haven’t been saved – :q! Match any single character – . Repeat last command – . Please feel free to leave your favourite vi commands in the comments area below if it’s not on this page.